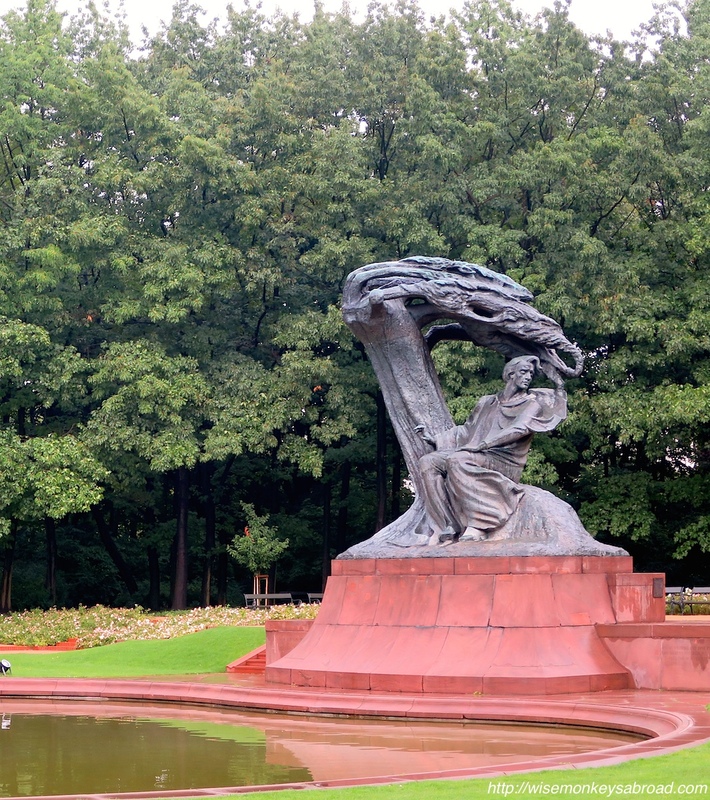 "Wise Monkeys Piece of Trivia: Chopin’s music was banned in Poland by the Nazis during World War II as it was believed he represented “everything Polish”. His music united the Polish people." 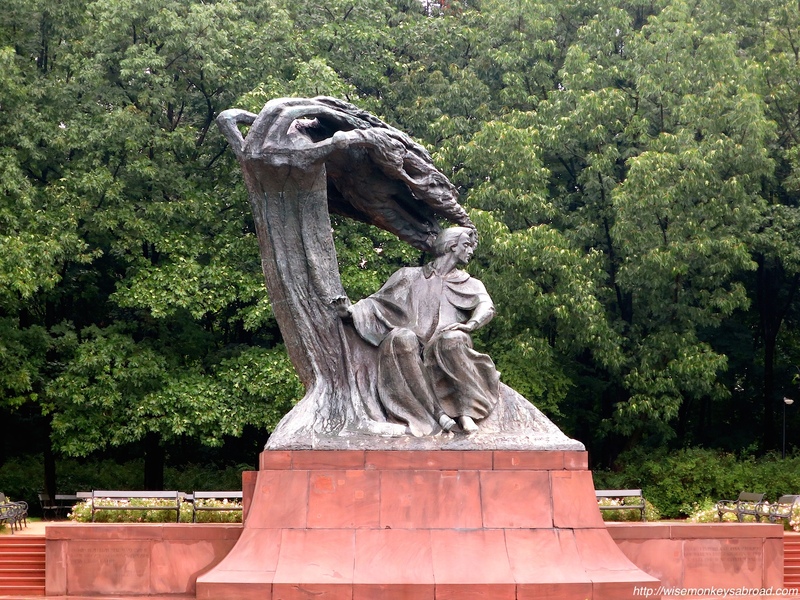 and well, I am going to listen to Chopin right now – thanks for another great post. Glad you enjoyed this post! Poland is a wonderful place! he was amazing and so is that statue! We learn so much from one another in this world and blogging has really allowed that to happen. Thanks for coming by and reading often!! You guys! We seem to be tracing each other’s travels! We were in Warsaw last year and did see the concert. It was a really sweet experience! We liked Warsaw a lot. People were great. Did you make it to the Jewish Cemetery? VERY moving place! 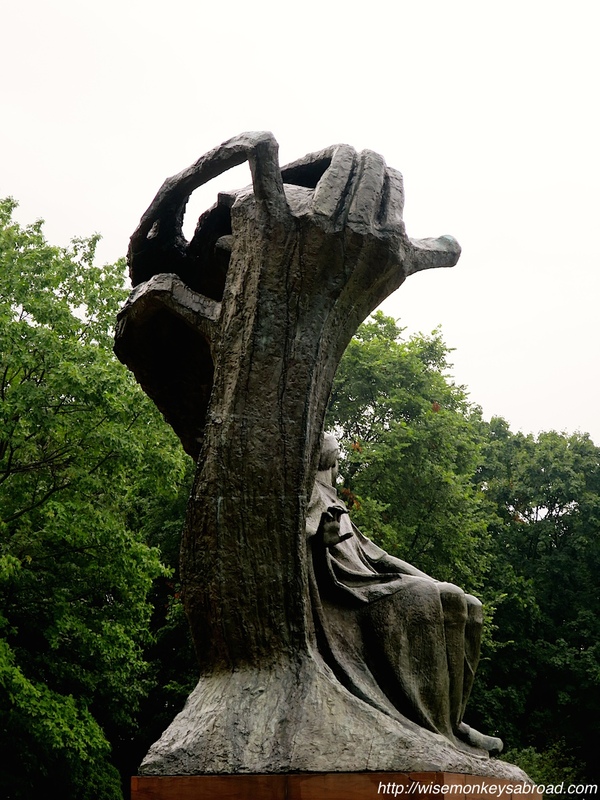 Great post….love this statue! No, we didn’t get to the Jewish Cemetery. There was a lot of moving places to visit in Poland, wasn’t there? Some just reduced us to tears. It’s a beautiful country that endured so much pain for a while there. Sad to think of countries that are affected by war, past and present! But on a brighter note, thanks for reading 🙂 Have yourself a great rest of the week! Gorgeous! So lucky their kept the mould. Lauren, you made us laugh with that chat up line!! And made us cringe too… LOL! It was extremely lucky that they didn’t lose the mould! Hope you have been keeping well. What a cool statue 🙂 I love the trivia! We were so fascinated too with the different ways the statue could be “seen”. Thanks so much reading and leaving us a comment! How excellent the mould still existed! But, what a shame, so many historic features are destroyed in wars. Cool one! I love classical music.